Published on April 3, 2012 April 22, 2012 by cara.b.b. last night, we had a dinner that makes it feel like summer. 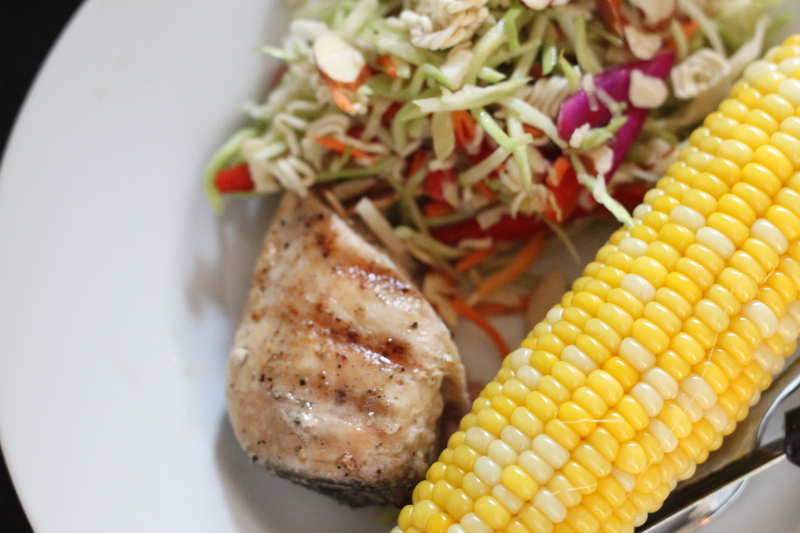 grilled chicken, sweet corn on the cob, and chinese coleslaw. i usually keep it pretty simple on the chicken – olive oil, salt, and pepper – grill, done. i boiled the corn, but if i had been thinking we would have grilled that too. here’s my recipe for the chinese coleslaw. what also comes with summer is grass, and the mowing of it. 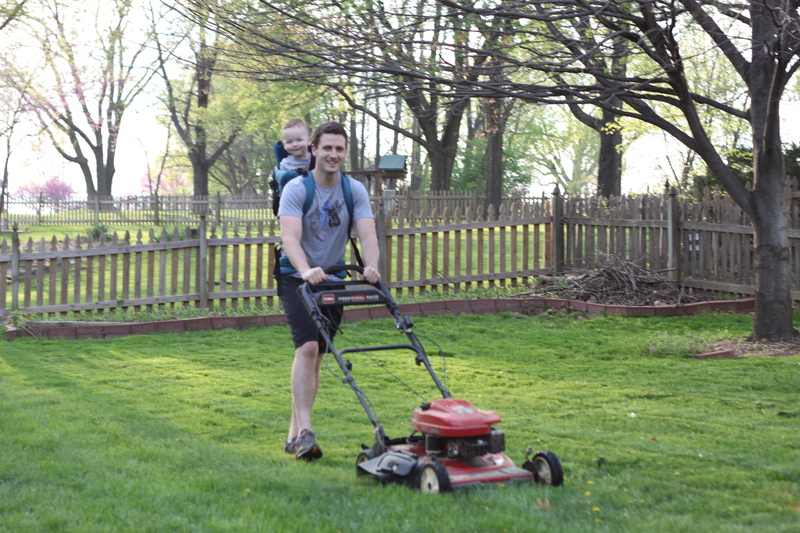 it feels kind of good to do it the first few times each season (we are equal opportunity mowers in this family). the short guy is really into the lawn mower right now – i’m tellin’ you, this kid loves anything with a motor! i was having a girls night out last week, and because we were leaving town, the lawn had to be mowed. so, before i left, i helped jared get b in the backpack and they mowed together. it was pretty darn hilarious. i am a crazy safety person and perpetual worrier, so i promise you that he was fully secure and could never escape this thing. don’t call family services. Really really cute! Good thing daddy is soooo strong!